Once Killing Joke frontman Jaz Coleman scrubs the greasepaint off his face and steps away from his long-running industrial-metal band, he’s a man of distinction. When he’s not whipping the proletariat into a defiant frenzy with his band, he’s a dedicated devotee of classical music. With a résumé that includes instruction at the Cairo Conservatoire and a host of orchestral and soundtrack credits to his name, Coleman’s classical music credentials are just as legit as his head-banger ones. In preparation for Killing Joke’s shows Dec. 10 and 11 at the Empty Bottle, Coleman chatted with The A.V. Club about his favorite pieces of music that don’t involve electric guitars or double kick drums to play. 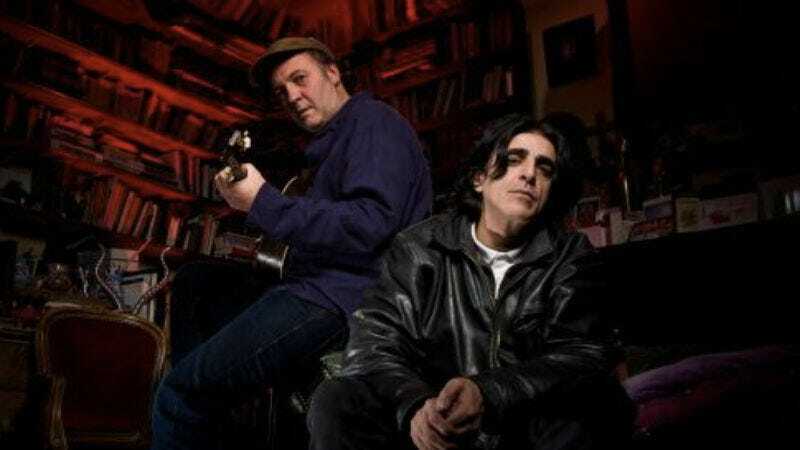 Jaz Coleman: It’s probably the greatest piece of English music that was ever written. It’s greater than any Beatles track. When I listen to this track, it reminds me of what England used to look like in the early ’60s when I was a kid. The hedgerows were full. It was a different world. There were steam trains between every village. It reminds me of a lost England. It really makes me feel quite emotional when I hear this track. It’s such an exquisitely beautiful piece of music and quintessentially English. A.V. Club: Why is it so evocative for you? JC: I think it’s just the Englishness of it, of this great country and what it was, and the sadness of what it’s becoming. I’ve not lived in England for three decades now, but it’s overcrowded, they’ve built on so many beautiful parts of the land. It just breaks my heart when I’m there. For example, they have 10 new nuclear power stations planned over the next decade. These kind of changes, frankly, upset me. JZ: This is a beautiful piece that I discovered in 1985. I hadn’t really heard it until 1985. It was my grandmother’s favorite piece of music. When you listen to it, it describes Rachmanioff longing for his homeland while he’s exiled, basically. You can hear this longing and this sadness in the music. It’s so, so beautiful. JZ: There are two versions. The arrangement’s better than the original. I heard this at the age of 6. That’s when I first heard Eastern music. It really, really, really affected me. It’s such a dramatic piece about a witch’s Sabbath. When I heard this, I became very interested in Russia and Eastern European music. That was at the age of 6. My passion to explore orientalism in all its forms, everywhere from Russia to the Middle East—what I’ve done with orchestration started at a very early age. This track in particular changed my life, really.